Terry became an RN, then a Nurse Practitioner because of her passion for women’s health. Terry felt drawn the deeper aspects of mind/body health and healing through yoga and meditation. Since she completed the 200-hour Kripalu Yoga Teacher Training in 1998, Terry has had specialized training in creating yoga classes for pregnancy and childbirth preparation, back care, meditation, addiction recovery, anxiety and depression, and yoga therapy. 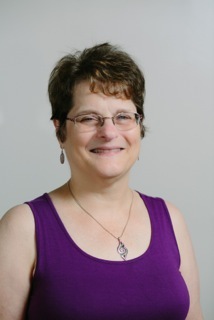 Terry has taught classes in the Potsdam area, while continuing to work full time as an NP. In 2013 Terry was delighted to become a Certified YogaNurse®. This brand new specialty combines the ancient wisdom of yoga with the modern science of nursing. Terry believes everyone can do yoga. All they need to do is to start where they are and do what they are able to do in the moment with awareness and compassion. Doing yoga creates unity and wholeness leading to inner peace and connection with the divine. She has seen amazing healing and relief of pain and suffering in her self and her students. In addition to teaching yoga classes, Terry sees clients at Trillium for YogaNurse® therapy sessions.